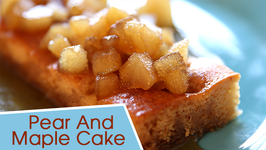 Learn how to make amazingly delicious and tempting Pear and Maple Sheet Cake with Chef Priyanka Pear And Maple Cake is absolutely the most delicious, moist cake ever. 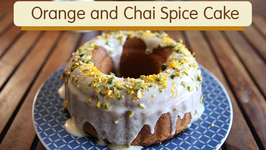 Learn how to make Orange and Chai Spice Cake, a quick and easy dessert recipe with Priyanka. Is dessert your weakness? 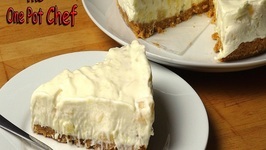 Then checkout our new recipe of Orange and Chai .. 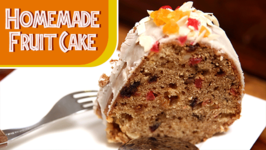 Learn how to make fruit cake, a delightful cake recipe for Christmas by Anushruti. 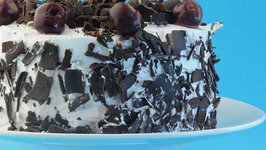 Cake plays a vital role in Christmas celebration and if you are looking for a good .. 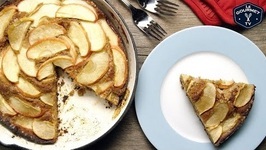 Sometimes an entire cake is a bit much - So here is our 'Apple Cake For Two Recipe' - just enough for a taste, and not so much that you're eating it all week. A fall classic! 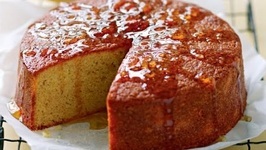 This simple to make cake is moist, delicious, and doesn't need an icing though butterscotch sauce is mighty tasty on it. 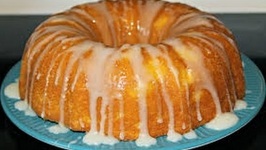 Orange Syrup Cake is a deliciously moist cake that is very easy to make. 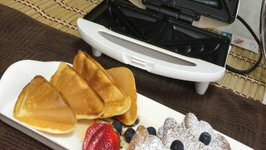 Freshly squeezed orange juice, flour, orange zest and eggs are combined to create the cake batter. Pineapple Cake is so easy to throw together when unexpected guests drop by. 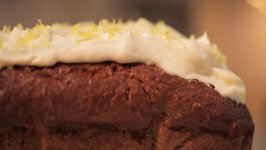 With only 5 ingredients and no fussy preparation, this cake is sure to become a family favourite!! 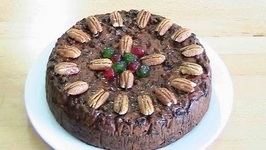 Cheaters Christmas Cake is a short-cut version of the traditional holiday recipe. 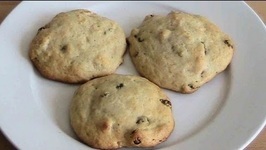 Mixed Dried Fruit is soaked in chocolate milk and combined with flour to create the batter. 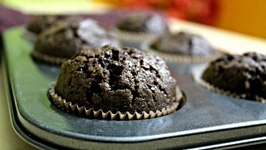 Baking gets easy in a cooker when oven is not handy. Tring Tring! 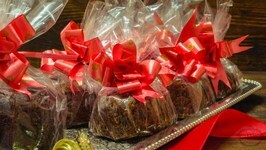 Xmas is all around the corner and here is a recipe of Plum cakes loaded with caramel stewed fruits nuts. 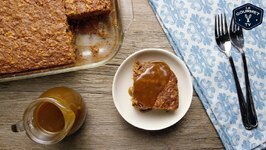 Apple is a wonderful fall favorite comfort flavor that reminds us of holiday memories and family fun. 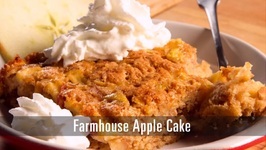 With walnuts, brown sugar, and fresh crunchy apples, this applecake ..
No Bake Pineapple Cream Cake is a delicious no-fuss dessert that takes only minutes to prepare. Condensed Milk is combined with lemon juice, crushed pineapple and whipped ..
People think you cant bake with margarine so they use butter which is high in unsaturated fat. 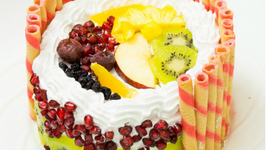 But you can bake with margarine making a much healthier cake, which means ..
Layers of delicious Eggless Vanilla Sponge Cake, Whipped cream and fresh fruits, this Egg-free Fresh Fruit Gateau is amazing! Baked in a pressure cooker, you don't need ..
You can prepare this simple pineapple upside down cake today. 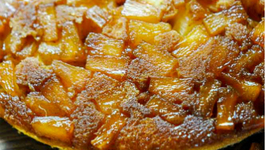 Did you know that pineapple upside down cake is really easy to make? 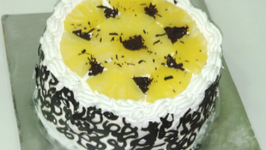 You can put this cake together in no ..
Can you resist over this luscious Pineapple Cake? 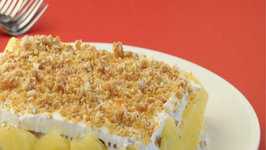 This crunchy pineapple cake is very easy to make, it is made with biscuits, cream and pineapple, however any fruit of your choice can be used. 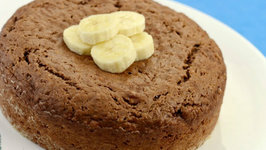 Chocolate banana cake, a perfect cake recipe to serve for a dessert or at tea time. Serve it warm and enjoy it.